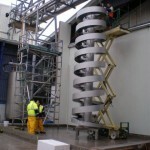 Spiral Conveyors represent a reliable concept in vertical conveying where space saving is a priority. Overlapping slats provide a smooth and efficient conveying surface suitable for a wide variety of load types and sizes. 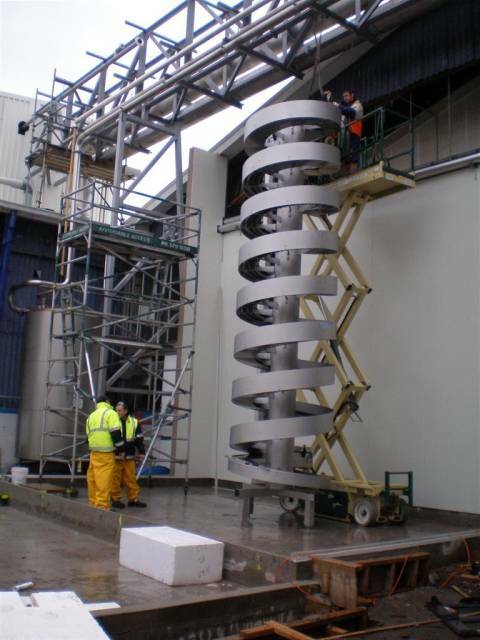 Most spirals are shipped in one piece, pre-assembled and pre-tested – thereby drastically reducing the time and cost of installation. The spirals are of heavy-duty construction and can be delivered in painted mild steel or wash down versions, suitable for food handling.